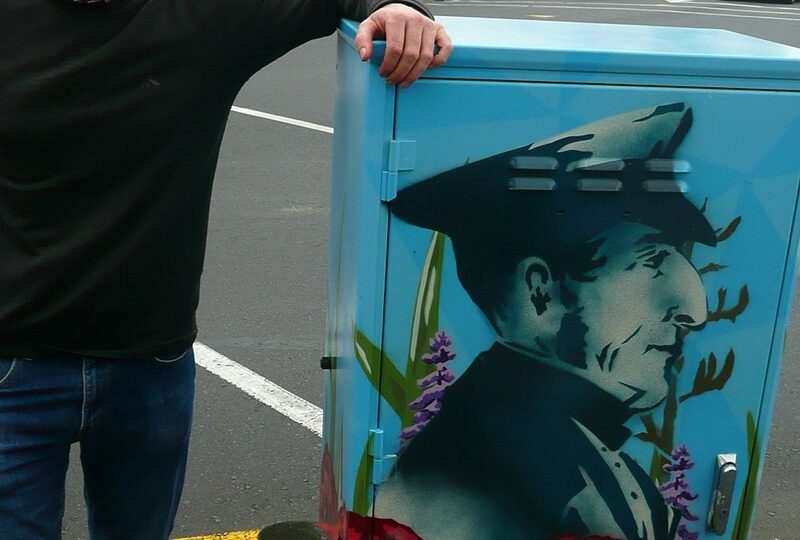 The Waitemata Local Board started a project this year of painting utility boxes with a difference. We asked local community and business groups to select one or two utility boxes in their area that they would like to see painted with a mural. These groups were also given a number of design concepts so they could choose a design that would best suit their locality. 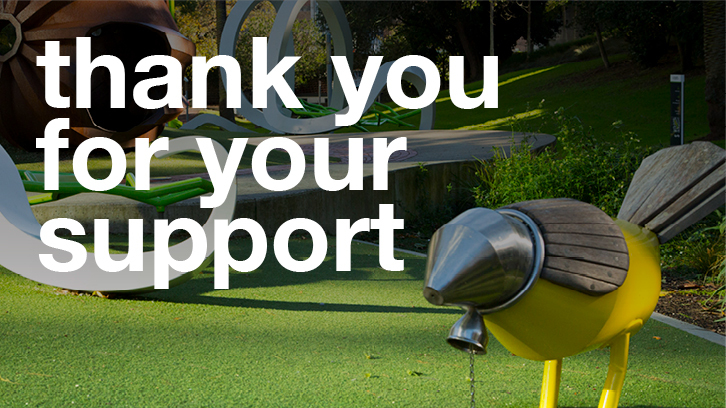 We feel the community and business groups know their localities well and what designs would appeal to their residents and businesses. This is the Board putting into effect the ‘Jim Diers’ approach of letting communities drive projects. Parnell Heritage Committee were first off the mark with their choice of box. They chose images of Mr R. Tod, early NZ and European vegetation and the Parnell Heritage rose to bring the bland box outside Trinity Cathedral ‘alive’. 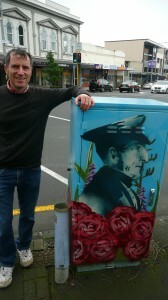 We will see 5 other boxes completed over the next two months; one more in Parnell, two in Ponsonby and two in Grey Lynn. 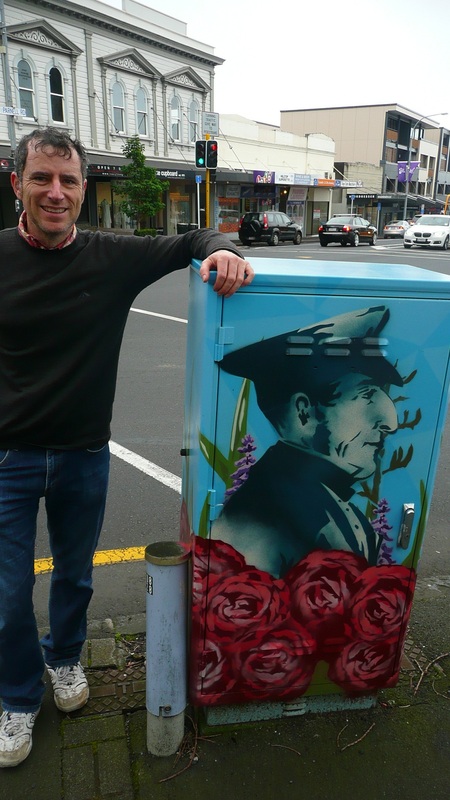 It has been great having the community input and we hope to extend this programme of painting utility boxes, with community input, right across the Waitemata Local Board area.